V-Tech cover everything from planning assistance, CAD workshop design to installation and maintenance. All equipment featured on this website is of high quality, VOSA approved and European manufactured. With quality European manufactured equipment you do not risk reliability and safety within your workshop. 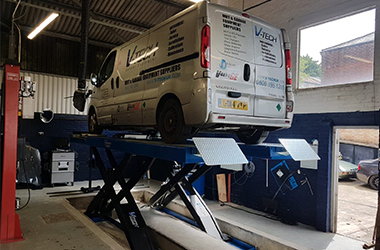 We have the experience and knowledge to give you the best service, our MOT bays also come with warranty for peace of mind.